In every business sector, there are two categories of business management you can find; those who are searching for business tips just to sustain, and those who need business tips for success purpose. It's one thing to start a business, and it's another greater thing to succeed in the business. With the current high competition in the various business sectors – different companies trying to outrank their competitors, it only takes proper knowledge to stand a chance against your unrelenting competitors. Apart from poor management, another factor that can lead to the downfall or stagnant growth of a business are the competitors, this is a very rare fact. Your aggressive competitors, by deploying their different strategies, makes it look like you are in the dark and being overshadowed. They make all your day-to-day activities unnoticed because they have diverted the attention of the public towards them by deploying some strategies. I'm not clearing saying that all your business efforts should be targetted against your competitors, but there are some ideas or tips that you need to know and follow to boost up your business and even unknowingly outrank your competitors. For the past few years, it has been a very hard deal for entrepreneurs to successfully build a business. But notwithstanding the complexity of building a business, there are deployable means that could make it a whole lot easier. For some months now, I have taken time to study some businesses already having their boost in the sector; everything surrounding their success. I have discovered that their successes have been built on some tips that have been ignored by most businesses. 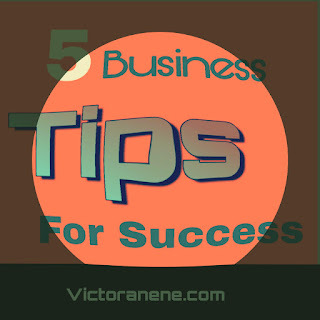 These tips are not the ones you put in mind while running your business, you implement them along with your business. Here are the 5 business tips for success growth. Branding has been the soul of every successful business. Brand building can be expressed as the easiest method of presenting your business, your team and your surveyed audience. Better still, business branding can be referred to as the business "Identity". Only a few will understand that it embodies the core of what the business stands for and its values. I have heard people complain about how difficult building their brand has been, how trying to build their brand has been like pouring water into a basket. One fact business owners don't know is this - business branding is not all about diverting all attention toward building your business brand. Branding can be done absentmindedly by just following some brand building strategies. In my previous article, I discussed on 5 Best Brand Building Strategies For Every Business. 1. 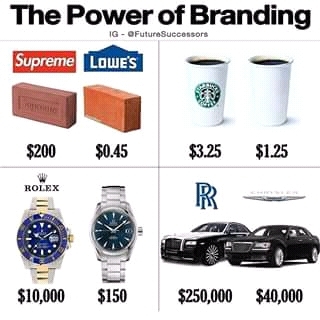 Branding gives you control over price. 2. Branding Attracts New Customers. According to Nielson’s Global New Product Innovation Survey, 59% of consumers prefer buying new products from brands familiar to them. Being one of the best brands can actually boost your business from an infant player to a successful competitor. Any product you make, any service you render is for your customer's satisfaction. You create them to either solve their problems or meet their needs. Every product or service from your business revolves around your customers and their experiences, and every single day, you should be making significant efforts to serve them a satisfactory experience. One of the most important phases of your business is your pre-work: scaling your audience to know what they’re most interested in and then running a survey to test demand and ensure you’re serving them with products or services that are relevant and important to them. That will be your guideline to create products that satisfy your audience or customers. One of the keys to a successful business is making your business End offers to go in line with your customer's satisfaction. Get feedback from your customers and work on it, even if it entails having a little shift from your business niche, do it. So long they derive their satisfaction, they will keep coming back. Do not develop the mindset of "build it and they will come". You should know what they want, or better still, you should know if they will find your new products or services interesting. And if they do, that is what you should focus on. In case you might need to know more about customers survey, I made some research and found an interesting article on HubSpot's blog - How to Measure Customer Satisfaction in 5 Simple Steps. A customer satisfaction survey can help your business improve it's customer's loyalty. 27% of social media users use social media to research and find products. These days, people are deeply in love with social media, and one of the coolest things is to quickly grab them when they spend their time online. Whatever business I want to start, I first grow my audience on social media and later turn them to perfect customers. It might actually be a little difficult to grow an online audience. Even your efforts to build a brand on social media might look like you're yelling into the wind. You are engaging your handles with photos and updates every day, trying to interact with others but nothing seems positive - It can really be frustrating. Its one thing to build a large Audience, and its a different ball game to build an engaged social media audience. I so much appreciate having a social handle with 5000 followers and about 4500 - 4800 will be active, then having up to 50,000 followers with only 100 active followers. I have made it easy for you, so you can read my article on How To Easily Build An Engaged Social Media Audience. Believe me, you don't need to ignore social media. Remember everything is going digital. From the Sales boost to the customers targeting, social media has always been a hit. Collaboration and necessary partnerships are basics to improve your business. Apart from the personal need of any partnership, one of the greatest importance of partnering with brands, especially bigger brands, is for the benefit of the trust. Once you can be trusted by your customers and the public, you have it all. They would be ready to buy any of your new product or services even without knowing much about it. They believe in you, they trust you! Regardless if your business is a solo venture or a company without sufficient employees, including partnerships in your business growth strategy, is obviously necessary. Start-ups and small businesses should take note of this; No one will so much emphasize on the importance of partnering with brands. External business collaboration can be provided as a startup’s connection to an established community by making their product or offerings seem more familiar and less risky. For small businesses and startups, building your brand's trust and affinity is very essential. Partnering or collaborating with other businesses, especially bigger brands is one the fastest way to grow your brand and give your business a brighter light to the public. Uniqueness is not only one of the keys to a successful business, but also to achieving success in all areas of life. The most significant strategy to build a reputable and recognized brand is to stand out, be different. Be unique! The uniqueness of your business is one of the greatest advantages in every competition you come across. Unique businesses begin with a unique business idea. Uniqueness is the trait that makes your business different from others. The unique business idea is something that will maximize the potential energy of your business. One of the companies to use as an example of being unique is APPLE. Apple products are considered to be better designed, more fun and more reliable than products from other companies. This was achieved by being unique. Instead of joining other competitors with the Andriod OS, they developed their personal OS and they are making it big. They stood out! To become successful, you need to be creative. You must possess the ability to create new things, new strategies, new ideologies out of nothing. 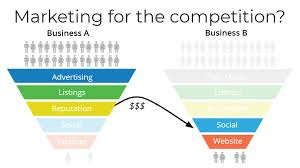 That is the only way to outrank your competitors. 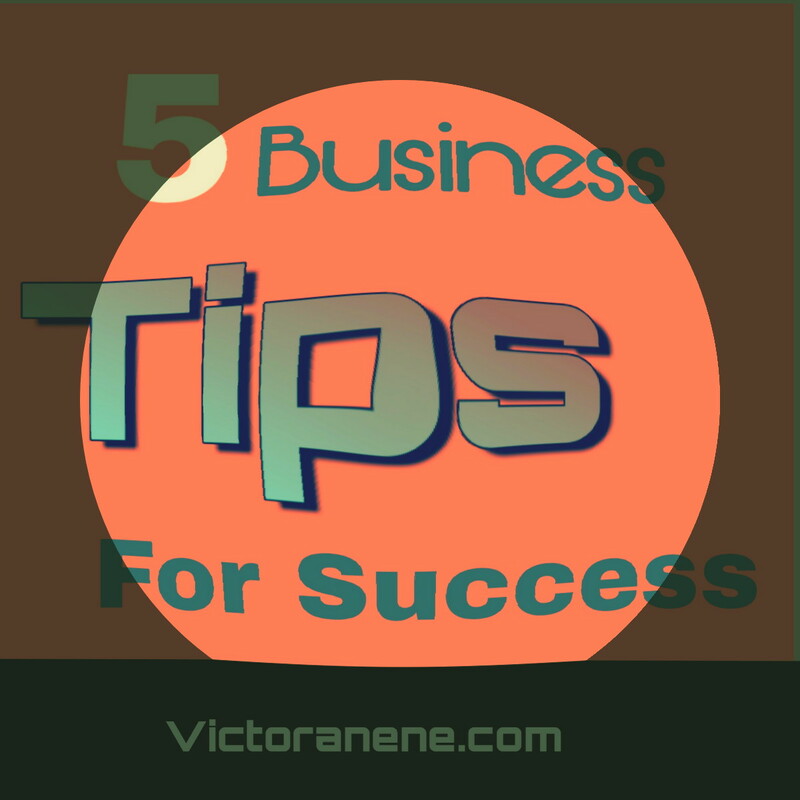 These 5 tips are what we consider as the Business Tips for success growth. Don't just keep them in mind, make use of them along with your business activities. One strategy to achieve your goals with these tips is to be consistent. Be consistent in building your brand. Be consistent in surveying your customers. Be consistent in building an engaged social media audience. Be consistent in partnering with bigger brands. Be consistent in being uniqueness. Just be consistent in whatever you do. With all certainty, you will definitely get that business boost you longed for. Building a brand with the best brand building method is of great importance to businesses, especially small businesses that are still struggling in the market system. No matter the type of business you run, either online or offline, large scale or small scale business, you need to build a reputable business brand in order to stand a chance against the big dogs (larger companies) in your business niche. Having a strong business brand is more than just creating a well-sound brand name or designing a beautiful logo for your business. It's everything you stand for; Your customers, your reputation, your look, your feel. In short, your story. According to Nielson’s Global New Product Innovation Survey, 59% of consumers prefer to buy new products from brands familiar to them. As a small or starting business, you may be competing against big brands that have the best brand build companies, with devoted customers and unlimited marketing budgets. That's why you have to find ways to differentiate with a solid brand building process. Having a Strong brand by following up some essential branding strategies will impact your ability to generate more business leads, get the right partnerships and attract great talents and capital for your business. It is the secret sauce that can make a business stand out from other businesses. "A recognizable and loved brand is one of the most valuable assets a company owns"
Brand building is just a simple way of defining your business, your team and your external audience. It could also be referred to as the business "Identity". But only on the understanding that it embodies the core of what the business is and its values. Customers of different kinds are recently savvy that they transparently understand most attempts by companies to gloss, spin or charm their way to sales. Before going into the best branding strategies, Let's check out some importance of having a reputable business brand. A successfully and reputably branded business has 100% advantage over the pricing system of good and services than competitors in the same business niche. The image above explains better; No matter the price a well branded company places it's goods or services, customers will definitely still choose them over other companies because they believe it is of more quality. Strong branding generally means there is a positive impression of your company among consumers and they are likely to do business with you because of the familiarity and assumed dependability of using a name they can trust. Customers develop this personal trust for a business when they get to know that your business has an identified brand. A professional presentation builds reliability and trust. The big dogs like Amazon and Microsoft are highly recognized because they have the best brand building strategies as their foundation. They are unique in their ways which has created a well recognizable brand name for them. Let's consider diving into the nitty-gritty of brand building. Following this post, these two terms were majorly used - "Reputable business brand and strong business brand". It clearly means this is more than just building a business brand. It is about building a reputable and strong business brand. And here are 5 tips to help you get that. The greatest way to build a reputable and strong business brand is to stand out, be different from others. Be unique. A perfect example of a unique company is APPLE. Today, Apple products are perceived to be better designed , more fun and more reliable than products from their competitors. How did they achieve this? Instead of joining other competitors with the Andriod OS, they developed their personal OS and they are making it big. They stood out! You probably have several competitors out in the market, Offering similar products or services. What makes your business unique? what's your story? What do others do that you don't need to do the same? In my previous post, 10 Important Qualities Needed To Become Successful I discussed a bit about uniqueness as a key to success. To be Unique, you must be creative. You must have the ability to bring out something from nothing in order to bring up new ideas. 1. Have a problem, because big ideas comes from everyday problems. 3. listen: Ears are antennas for ideas. 4. Asking questions leads to ideas. 6. Make connections: Take one thing and connect it with another. 7. Write mistakes: Mistakes and failure leads to great ideas. 8. Write your ideas down. New ideas and strategies lights the way to success! Once you have your unique business proportion, you have to be able to communicate it clearly and effectively to your business. To find out the real power of being unique, you can read this article - Simple Way To Outrank Your Competitors In Business. Uniqueness does the job there. 2. Build Quality Products And Services. The image above, comparing the popular brands with the unpopular brands explains better. Supreme and other big companies, have a reputable brand because they provide quality products and services. Some companies stop focusing on building great products and services when they become successful. This is a mistake. In 2008, Nokia was the world's ninth most valuable brand. In 2011, Nokia was ranked 81st, and this year it fell even further. Even a strong brand will suffer when it creates average or below average products or services. This is the most important step as the quality of your products and services will determine your customers' satisfaction with your brand and organization. It is better to delay the launch of your product if it has not been fully reviewed and tested to your liking. Any marketing effort in promoting low quality products or services will just be wasted time and effort. A good spiel will not be able to mask a bad product or services. 3. Build An Engaged Community. Many of the world's best brands including Google, Amazon, Facebook, Virgins and Apple, spend little amounts on advertising, they rather focus on building and improving their communities. These big companies believe the fact that if people trust a brand's community, they will extend the trust to the brand. Small businesses have many opportunities to build online and offline communities. But the best method to build a strong community is through social medias like Twitter, Facebook, Instagram and other social networks. Why social media? 92% of companies use social media for hiring new employees. 34% of social media users use social media to find contents. People are on social media for an average of 135 minutes per day. People love social media. And its actually cool to meet them when they are spending their time online. I use social media to grow my audience and later convert them to customers. For the best brand building strategy to work out, its not just by attracting new followers but to keep them engaged and more interested in your business. Great way to do this is by giving rewards to your followers, such as discounts or special promos, and make sure you respond to all their comments and questions. What matters is that you start owing your crift and providing value to people in a public domain. Everything stems from there. Find a platform that suits your interest and start creating the best content you possibly can. You should also read this - How To Easily Build An Engaged Social Media Audience, In order to get started. Collaborating or connecting with other businesses with bigger brands is the fastest way to grow your brand and highly expose it to the public. You can see many companies collaborating or partnering with other companies, Louis Vuitton did that with supreme. How is this important? People think big of a company that collaborates with other big brands. They believe there is something more interesting and beneficial in the collaboration. And since you are collaborating with a bigger company which they know and trust, they will pass on the trust to your brand and may as well decide to give your business a try. To connect, collaborate or partner with other bigger brand can be done both online and offline. You can decide to retweet or repost their updates on your business media account, you can also post some of their adverts or promos freely and most importantly, you mention them on your social media tweets or posts. It just makes your business look real. I once mentioned a top blogger in one of my blog articles. Before then, I usually share most of her blog posts on my social media account. I was amazed when she commented on my blog post. I felt big. Many people who will also see her comments on my blog will definitely think big of me. That's the trick. Your business brand is strengthened or weakened by your connection to other brands. Build as many relationships as you can with other bigger brands with your niche. This will open so many doors for your brand and help grow your number of followings. No matter what you want to achieve in life, consistency is the main key to all achievements and brand building is not an exception. To build and maintain a strong brand, every aspect of your brand should be as good as your products or services and you must be consistent in presenting your brand. This includes not only your company's name, logo, overall aesthetic design, products and services, but also your marketing materials, website, appearance at trade shows and conferences, content posted to social networks, etc. Why should you care about brand consistency? You should care because brand consistency leads to familiarity, and familiarity leads to trust. Be consistent, consistency helps in building a brand. The best brand build strategy can transform your business from a small player into a successful competitor. There are countless other small businesses competing for eyeballs, dollars and attention. Many of them are following the same strategies as one another to the point where they all look the same. You can start off with a great idea that blows away the competition. But unless you continue to innovate, someone is going to come along and over shadow you. In order to achieve the best brand build business, integrate your brand into every aspect of customers experience: From your storefront to your website, to your personal interactions. Recently, there have been sort of a new method to easily make money online. sometime ago, it was Nnu.ng, which is still actually in existence and perfectly paying. 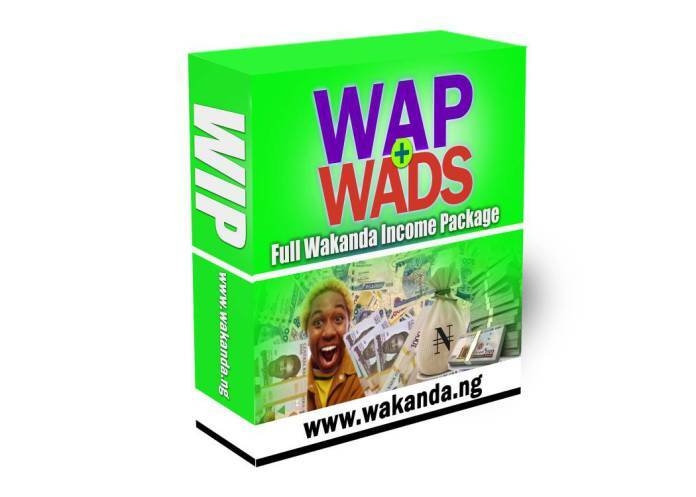 Now its Wakanda.ng, a new legit income program in Nigeria. Seriously Nnu.ng and Wakanda.ng have been at their various peak, making it easier to make some personal earnings by doing what you love doing. This has made it one of the easiest way to make money online. As a "Doubting Thomas" which I am, I once doubted these programs and certainly I missed so much opportunities to make some cool cash. When I decided to give a trial, I was so amazed because it was super easy and super cool than I expected. Probably if I had started long time ago, I would have been part of the richest men in the world. LOL. After being convinced, I was unable to write a review on Nnu.ng. But I won't let the opportunities of Wakanda.ng pass you by, as I"ll drop my personal review immediately. You will get wow'ed with this as it offers great stuffs in return to favour them. Now on this review, I want to show you how you can earn and withdraw up to N40,000 every Sunday by just sharing statuses, commenting on posts, reading news, and inviting other people. This is just an estimate of what you can earn. You can earn more money, depending on how consistent you are in the activities. Tired of Reading for so long? Alright, let's get started. Firstly, let me make a proper introduction of wakanda nation income program to you. Leggo! What is Wakanda and who is behind it? Is it owned by marvel studio? LOL. No, it is not, neither does it have anything to do with Black Panther. Wakanda income business is sponsored by wakanda.ng website and is one of the latest legitimate Nigerian news website were you make money. Wakanda Nation is a one-stop platform for news, infotainment and online community interactions were you can visit to read latest news on politics, sports, entertainment and lots more and still earn money for doing all this. You see? You absolutely loose nothing! Wakanda.ng Nation is registered, owned and managed by LADINI INTEGRATED SERVICE, a legally registered I.T business in Nigeria with CAC NO: BN-2558110, with their head office located at Abuja, Nigeria. Now this is it, they need you to help them get popular by sharing their articles on social medias, reading and commenting on their posts, creating topics on their forums and inviting more people, and you get paid for doing these simple things. Isn't that interesting? You do these same things on other websites without being paid, but wakanda nation income program does otherwise. You get paid! And it becomes super cool when you get to know that you can make more than 20,000 in a week if you go through the activities with a doubled effort. How To Make Money From Wakanda Nation Income Program. So how can you make money from Wakanda? 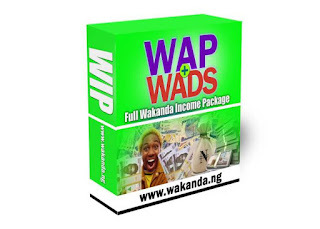 As a participant, there are just two (2) available options to make money from Wakanda.ng Nation income program. The second option is so cool because of its high profit, but combining the both together is the best as it will sky rocket your earnings. Wakanda Nation is paid to run targeted adverts by companies, agencies, corporations, businesses and Individuals regularly. We have decided to give you part of the Money we make from advertisement if you participate actively in our forum. A. N50 for daily login to your active account. B. N50 for each sponsored post you share on your Facebook wall. C. N1 for every valid comment you drop in the forum. Register a FREE ACCOUNT HERE to earn money through WADS. Earn N1,000 for each person you refer to wakanda Nation affiliate program. To register for wakanda Nation affiliate program, please Login to your normal account and click on “Affiliate Area” inside your Dashboard. WAP has a One-time Registration fee of N1,300 only. You can Pay online with your ATM CARD or Bank/mobile Transfer or Offline Bank Deposit. Account Name: Ladina Integrated Services. Bank: United Bank for Africa (UBA). Use your username as reference or depositor’s name when making payment for easy verification. 1. Payment of Earnings to members is done every SUNDAY. 2. Minimum withdrawal is N4,000. 3. On the next page “Tick the Online Payment (Pay with your ATM cards)” and click the “Payment Buttons Banner” as you can see in the picture below. So make sure you have up to N1,300 in your card. You can choose “Bank Transfer/Offline Payment/Mobile Transfer” if your card doesn’t work, or you don’t have money in your card, but have it cash. 5. On the next page, enter the full name you entered when making payments, enter N1,300 as amount paid, upload proof of payment and click on “Finish Registration“ Proof of payment can be the debit alert you received or any concrete evidence you have. If your phone don’t have screenshot, snap the screen with another phone. You can save and continue later if it’s going to take your time. Can Someone Outside Nigeria Join Wakanda Income Program? Yes, you can join wakanda nation from any part of the world. You can make payment for WAP with your Master/Verve/Visa or other Cards from any part of the world. We also accept bitcoin as payment means for international members. Thus, you can pay for your Affiliate Account Activation using Bitcoin. Our official Exchange Rate is N400/$ and that makes our Affiliate Account Activation Fee $3.3. Your Earnings on Wakanda Nation will also be converted and paid to you using the same Exchange rate. Anyone using bitcoin as means of receiving payment should provide his/her bitcoin wallet address in the Bank Account section of his/her profile. In order, to achieve happiness and become a successful person, you must acknowledge the fact that great qualities are the ultimate success factor. If you have the vision to make a change in your outer world, you must go to work, like a computer programmer at a keyboard, to reprogram your subconscious mind, your world of values, beliefs, and inner convictions so that the person you are inside is exactly equivalent of the life you want to enjoy on the outside. If you Really want to bring success into your life, you should cultivate yourself just as you'd cultivate a garden for the best yield. No matter what you do, your greatest goal, beyond what you are trying to accomplish at the moment, is to achieve your own success. An individual can exercise a key success factor for developing good traits to achieve the kind of happiness everyone longs for. If you want to achieve your life's dream and be widely successful, you need to model yourself after people who are living their dreams. The more quality traits for success you have in common, the higher your chances for being widely successful. The qualities we posses is much more than just our reputation, it's what defines us. Our reputation is what others see about us. Our character is who we really are, even when no one` is watching. Having "Good character" means doing the right thing just because it is right to do what is right - Winston Churchill. What do you need to find and develop within yourself to be successful? The answer comes from looking at those who have created success in a variety of fields.These traits may sound simple, but they lead to remarkable results. 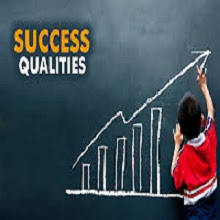 These quality traits for success are the core DNA of every successful person which you will definitely need. With the popular quote "Time Waits For No One", its no new thing knowing the importance of Time in life. But knowing the importance of time, many people still don't make use of it in the right way. How well do you schedule your activities? How well do you follow up these schedules? How well do you use your time? These are questions needed to be solved by you. You live in real time, a world in which all time flies when you are having fun or doing some other things. Waking up every morning with sweet dreams of how successful you will be isn't the deal. The real deal is waking with sweet dreams and taking actions no matter how little to achieve that dream. The more you waste time, the more money you loose. A perfect definition of being "ACTION ORIENTED" is "DOING THE RIGHT THING AT THE RIGHT TIME. Taking action at the right time is the key. One Of the qualities of self-made millionaires is that they think carefully and then make decisions quickly. They are self-disciplined to take action and to carry out the decisions they have made. They move fast and they get quick feedback from their actions. Even at their mistakes, they quickly make self-corrections and try something else. The key to Success is for you to try. Successful people are decisive and they try far more things than other people do. According to the Law of Probabilities, if you try far more different ways to be successful, the odds are that you will eventually find the right way for you, at the right time. 3. Be Unique As A Person. Uniqueness is important in all walks of life to be more successful, as a professional, as a new business. But, there is the question how to make yourself to be unique? Uniqueness of one’s own self is one of the most important competitive advantages in today’s world. Uniqueness of one's own self is being who you are, without trying to be someone else or pretending to be something else. To become successful, you need to be creative. You must posses the ability to create new things, new strategies, new ideologies out of nothing. The truth is that there is a tendency to fail when you pretend to be something else or make use of other people strategies. Janice Wald, blogging at mostlyblogging.com inspired me at this. One thing i learnt and loved so much about her was the way she socialized and interacted with her fellow bloggers, and i guess this took her as far as she is now. Before knowing Janice Wald, i had always played as a "ONE MAN SQUAD", and with this, i had no progress. This is one quality traits for success many people still don't recognize. How well you relate with others determines how far you will go. Meeting people, sharing ideas and opinions, and best of all listening to their points of view is a step forward to success. How does it help? By interacting with them, you learn from their experiences and mistake, you also get to know the steps they took or how they conquered their challenges to become successful. You really need to Learn to roll safely with others. Don't just be a "ONE MAN SQUAD" Like i used to be, LOL. Most, if not all successful people, make more researches. If you believe that success leaves clues and that you can be successful by acting and thinking like a successful person, then making researches should be part of your daily life. How well do you try to learn new things and know more about them? How well do you try to widen your knowledge? I've come to realize that the more researches you make, the easier your challenges to be successful become. Its so important to make researches that will make the most difference in you. Researches helps you become a true expert in your field of passion and also challenges the limiting beliefs you have about yourself. Permit me to say, negative mindsets kills faster than virus, especially when you drive it not only towards your success race but also to your personal life. The moment you start thinking negatively, failure comes next. And failure should never be an option. At the Starting point, no matter how difficult it is, always push a positive mindset towards your race. Challenge that limiting belief in you! As far as success is concerned, you will definitely make it. By definition, consistency is mostly referred to as adherence to the same principles in a steadfast way. Consistency is one of the main key to success no matter what you are doing. Being consistent simply means to fully dedicate yourself completely to a task, activity or goal, fully staying engaged without distraction. Consistency requires a commitment on your part. it requires that you commit yourself to a sustained effort of action over the long term. No matter how little your efforts are, as long as you are consistent in pushing forward, success awaits you. Making a new move every single day is the best way forward. Remember, Slow and steady wins the race!! Consistency moves with patience, just as patience goes with a positive mindset. Having patience is the ability to tolerate waiting and delays without becoming frustrated or agitated. Moreover, it is the ability to remain calm when facing difficulties and adversity. Sometimes, even with patience we still get agitated or uncalm. It takes guts to claim a piece of the pie for your own. But you know what else it takes, and a lot of it? It takes patience. So much patience. It can take years of patience, or even a decade of grueling works before you start to reap big results from all the time and hard work you've put in, and it can be frustrating as hell. If not all, then 99% of people who failed are those who never knew they were very close to their success. And that's because they lack patience. While grinding harder day by day, always push the positive mindset that one day, you will definitely make it! Many are turned off by Risks. It is actually easier and more comfortable to sit down in the safe spot and wait. But this is what distinguishes the doers from the dreamers. While the dreamers are still sleeping and waiting for the best time to take action, the risk takers are more likely to be successful because they do not limit themselves and are willing to put their energy when every other person are hesitant. And you become stronger to face your next challenge. This is just a natural phenomenon that no one can change! But it is not just about taking risks, think before making a move. Don't just take a thoughtless risk! People who experiences success know how to concentrate. They realize that they cannot do everything and they focus on the activities that will give them the highest return on the goals they want to achieve. They don't believe in the hype of multi-tasking and they know that the fastest way to finish your to-do's is doing them one at a time. Stay focused, go after your dreams and keep moving towards your goals. Successful people maintain a positive focus in life no matter what is going on around them. My key to dealing with stress of being successful is simple and soft: just stay cool and stay focused. The moment you lose a little focus, failure begins knocking at the door. I am certain you have either reconfirmed your qualities or have created action plans to develop the qualities you are lacking. Focus on cultivating one or two qualities at a time. Once your beliefs and actions are aligned with those of a successful person, you'll be amazed by how successful you become. Actually knowing and believing that you have the power to succeed can be difficult, but it's something that can really benefit you. We all have the ability to succeed in life and get what we want! We just don't know how to reach our full potentials. Sometimes you need to act like a beast just to succeed. You need to see things and act in an extraordinary way! We would love to know your opinions on these traits. Are they cool? Or do you have any more qualities for success you think are also needed? Join the comment thread, lets share ideas! One of the most challenging aspects of building a social media audience is creating effective and awesome contents that resonates with your audience each time. Having 81% of small and medium scale businesses utilizing social media, it's hard to capture your audience's attention enough to keep them coming back. Its one thing to build a large Audience, and its another thing to build an engaged audience. its so pointless having a very huge audience with only few followers active in your handles. I so much appreciate having a social handle with 5000 followers and about 4500 - 4800 will be active, than having upto 50,000 followers with only a 100 active followers. Sometimes trying to build a brand on social media can feel like you're yelling into the wind. You're posting photos, trying to interact with others but nothing is happening- How frustrating. There is nothing sweeter and encouraging than having a very active audience, but building such is very difficult and tactical, and also requires consistency and patience. So how do we build a large engaged social media audience? Yes, there are many other social media handles to grow your brand, but these three are the giant social media and the best for growing a brand. Here are some vital tips on building each of the above social handle. And at this course, you will get to understand why i prefer only these handles for growing brands. *510,000 comments and 293,000 status updates are posted on facebook every minute. *Everyday, 75 billion pieces on contents are shared. *50% of people ages 18-24 go on facebook as soon as they wake up in the morning. 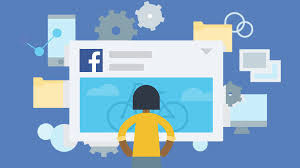 *One out of every five page-views in the U.S. is on facebook. *Every second, five new facebook profiles are created. *42% of marketers says facebook is important to their business. 2. Reply to most comments on your page posts, as much as you can. 5. Share short and meaningful videos. 7. Post images of your brands products or services along with its details, asking them make their comparison on the qualities of each products and also suggest the best. Twitter is a phenomenal way to make an initial connection with people and generate cold traffic. Its makes the perfect first step in a funnel. 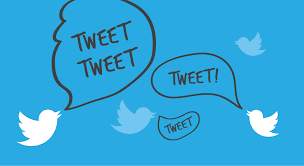 Tweets Have massive potentials to reach millions of people and go viral!. *Over 1 billion registered users. *Over 100 million daily active users. *Over 120 million unique visitors per month. *The average number of followers per Twitter user is 208. *Over 550 million accounts have sent at least one tweet. *9,100 tweets are sent every second. *34% of active users log on more than once per day. *83% of world leaders use Twitter. *The US alone has over 67 million Twitter users. 1. Follow people in your brand's niche. 2. 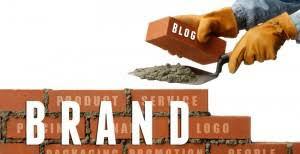 Write cool content about your brand in your "BIO", also not forgetting to include your brand keywords in the content. 3. Tweet at least 4-6 times a day. 4. Retweet tweets from people in your brand's niche. 5. while creating your tweets or replying to tweets, try mention some people in your brand's niche. 6. Use Hashtags correctly. Make use of hashtags with your brand's keywords, especially the trending ones. Instagram is another favourite handle as Facebook and Twitter, but its mostly used for videos and images. Instagram is the best media to engage your audience with stunning images and videos. Growing an instagram account is almost the same as growing a twitter account as they both have some similar features. 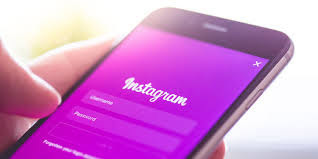 *Instagram has over 800 million monthly users. *Instagram users "like" over 4.2 billion posts per day. *Instagrammers share 95 million posts per day. *There are 25 million business profiles on instagram. *Post with at least one hashtag average 12.6% has more engagement. *Instagram has the highest interaction rate. 3. Post at least 5 times a day. 4. Reply to most comments on your posts, as much as you can. 5. Comment on peoples post especially those in your niche. And mention them while making the comments. These are the needful tips for building not just a large social media audience, but also an engaged audience. There are also some general tips needed to be carried along. What are these general tips? Consistency is the key. Post everyday on your pages, post multiple times per day. 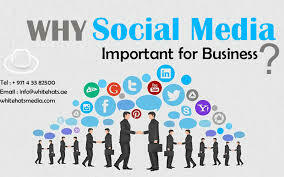 By doing so, you are increasing the possibility of reaching and connecting to more people, and also boosting the relationship between you and your followers. Be Consistent. Consistency helps in building a brand. Its not just about posting everyday, its about posting awesome contents that is worth sharing and commenting. *Asking people to share their experience. *Creating content people will definitely want to share. Comments, shares, and any other type of post interaction helps boost the post in the search algorithms. In as much as it is pretty cool growing an audience organically, its also nice paying for them by running some AD promotions. Every Social handle has its ways of running ADs. And i do advice friends to try the paid service, especially the beginners, as it helps a lot. Why opt-in For AD Promos? *It makes it faster in growing your social handles. *There is more engagement (likes, comments and shares) from paid promotions. You might be scared because of the word "PAID".It doesn't cost much, there is no fixed amount for it, you choose the amount you desire to use in running the ADs. I use just $2-$4 for promoting normal posts(images and videos), and about $5-$10 for promoting links, important and eye catching posts. Simply apply these tips in building a firm audience. Growing a social media audience is not easy. It won't happen over night, all you need is patience, consistency and remember to create awesome contents. You've got more ideas on building a firm audience? Feel free to share with us through the comments box. Most people bring up ideas of starting an ecommerce business with the vision of selling some cool and amazing products that will enable them work on something they truly desire as an entrepreneur. Even with the early zeal, they end up not making it. Probably because they never took necessary actions or they had little idea on ecommerce. Every online business can be successfully developed and built with different strategies, so those ecommerce . This business isn't reserved for anybody, don't feel you stand no chance of making it. Maybe you failed in the past, that's no big deal. I will be sharing the best strategy i have ever used in building an ecommerce (online shopping). Its unique and might sound funny though, but be rest assured that this is the best method you will ever come across. You only need to take a chill pill, read carefully and understand it well. Have it mind this isn't about creating or how to start ecommerce. I am only sharing a simple strategy on how i successfully boosted an Ecommerce business. Before we embark on this journey, don't you think you might want to know what really ecommerce is all about? 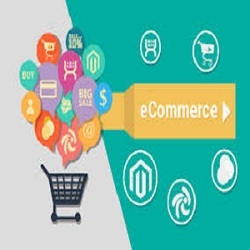 For a simple understanding, Ecommerce (Electronic commerce) typically refers to the buying and selling of goods and services, or transmitting of funds or data, over an electronic network, primarily the internet. Its is also simply referred to, as a platform for online shopping. Among others, ecommerce is my most preferred online business. Why? Unlike other internet businesses, Ecommerce growth potentials increases day by day. The world is going digital, internet is taking over everything, everyone is going online. In this computer age, people prefer ordering their needs online, everyone assumes its more easier since you need not leave your home going in search of a particular product whereas you can get it online with its specifications and get it delivered to their door step within few hours. According to a survey carried out by Comscore, as at 2016, consumers make 51% of there purchases online, up from 48% in 2015 and 47% in 2014. Also in 2017, Comscore also recorded that ecommerce accounted for 17.5 percent of consumers spending. 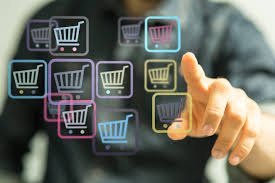 Shoppers cite numerous reasons for their online shopping preferences, including that it saves them time, makes comparing prices easy, doesn't require fighting through crowded stores and provides a larger variety of items to purchase. Now you see why i prefer ecommerce to other online businesses? This is one of the greatest investment you can make, because the internet is taking over the world bit by bit and soon everything will be online. well, we hope so. 1. Ascertaining the product you want to sell. One reason why many people fail in ecommerce is because they sell products that bigger ecommerce companies also offer for sale. It will be difficult to outrank these higher companies selling similar goods or services you also sell. 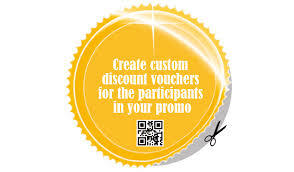 Its will be cool if you opt in for products that are yet to be sold online or has little competitors. Apart from these, there are also other product you can think of. Never make the mistake of selling similar products with higher companies. You might end up not achieving your aim. You can also decide to sell multiple product, but i suggest you start with a single product.After getting a firm ground in the ecommerce market, then you commence with multiple products. 2. When venturing into an ecommerce funnel, one certain thing you have to posses is an online store. An online store is a website or application which allows consumers to directly buy goods or services from a seller over the internet. With this online store, you will be able to showcase your products along with specifications and your customers orders and make payment for the desired products. If you have no idea on web or app development, you could hire a web developer to render the service of developing an online store for you. There are also many online store building websites, but i personally recommend Shopify for you to get started. Like i earlier said, i won't be discussing how to start an ecommerce business. This is just a simple personal trick i used in boosting an ecommerce online shopping business and gain more customers. Its nothing other than SOCIAL MEDIA . Yes, social media. You might be questioning, why always social Media? As long as i'm concerned, social media is the growth foundation of every internet business. Anyone who operates any kind of business-online or offline-cannot ignore social media. Why? Note: Use your desired company's or brand name to create the handles, not your actual name. This was the first thing i started with, i got different images from different companies producing the product i wanted to offer for sale online. For instance, i wanted to sell guitars. i searched for new and beautiful guitar images with their specifications and posted them on my social handles. I made requests to my followers on what they feel or think about the new guitar. Sometimes i post two new different guitar images, asking my them to make their comparison and decide the best out of the two. With these, i increased my audience and boosted the relationship between the company and their followers with the likes comments and shares. Never let them know your aim is to begin an online shopping. I made the followers feel it was just a social handle for guitar lovers. Be consistent.Post every day on Facebook. One daily post will reach followers and keep them engaged. Post multiple times a day on Twitter. Twitter is a much faster-moving platform. Tweets are fed into the system so quickly that it’s easy for people to miss them. 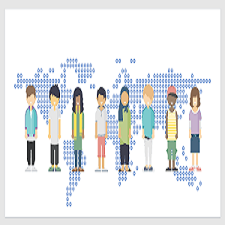 By posting at least three or four times a day, it is possible to reach and connect with more people. While doing this, i promoted every image i posted on any social handle. In order to reach more people and get more followers. This might sound funny. Yes, it does. At a point i had to follow those companies also selling guitars online especially the high ranking ones . I also went further to advertise the products they have in stock for sale on my social handle. At times, i retweet or repost their updates, mention them in some of my posts and also inform my followers of their upcoming events like their promos or products discounts period. why do all this? By doing so, you increase your popularity and trust your followers will have for you. Customers will never patronize you if you are not popular and trustworthy. Seeing how you advertise these higher companies will make them believe you have a partnership with them. You see how it works? Like i said, never let them know you own or about to start an online shopping platform. Now i started something like a contest, where the winners win free guitars and i made the delivery to their doorsteps, took some pictures with them and posted them on the social handle. you mustn't be the one to make the delivery, you should have few agents to do so. By doing these, you are stylishly telling them your aim and also increasing your trust. Yes, you might be at a loss at this time. But remember every business is about taking risk and then you reap with huge profits. Its time to convert your audience/followers to your customers. its time to let them no your real aim. Inform them about your online shopping platform, you can decide to pre-inform them on the launching of the website to see their comments. But if you followed the above measure, there will be a good turnout . Start promoting your platform, your products and also keep on promoting these social handles, only through them you can get more customers. It took few months to build it, but it didn't take days to start selling off products online after starting it, and that is the sweet thing about it. All you need is hard work and patience. Also remember to be consistent in updating those social handles. Engage your followers with different activities. Consistency is how a brand is built. Consistency helps build relationships and reputation.And for the best results, consistency needs to be paired with great content.consistency is the key. After getting a firm ground in your product line, you will now need to start competing with your competitors and find ways on how to outrank them.In my previous article, i also discussed on some simple strategies to outrank your competitors. As an Entrepreneur, your aim is to reach the peak. And to do that, you must be ready to face unrelenting competitors, who are also working by all means to outrank you. But with hardwork, patience and persistence, you are good to go. Building up a business in current days has been a very difficult encounter for many entrepreneurs, especially those whose competitors in business are unrelenting. Most times, you find out that even with hardwork and persistence you still don't make through the market, or your business is not growing, its just stocked in a particular stage. 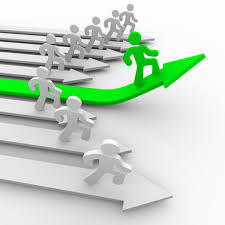 sometimes, this is caused by the competitors in the same niche with you.They work with strategies or ideas which you are unaware of, and even work double of your efforts, and when you are unable to outrank these competitors, you are left out in the same position without any improvement. To make this clear for a better understanding, assume yourself to be customer to a company who serves you in the best way and you are satisfied with their services, you will never want to leave them for a company with lower or unsatisfactory services. This is what happens when your competitors are better than you in the market system, they win the whole customers. I once read prosper noah's eBook on how he pulled 4,175 page views to his blog in a day. With what I understood, it is all about knowing those in your niche (competitors), building a relationship with them. Apart from these, you should also try to outrank them by also bringing new strategies and ideas which they are yet to discover or implement, in order to win the heart of the market. Running a business organisation is not all about the day-to-day activities, you must create time to know those in your niche, especially the one's who are above you. After knowing your competitors, what are the measures to take to outrank these competitors in business? You have to compare your business with theirs and ascertain the differences and similarities between you and them, you will also need to discover the particular thing that makes them better than you. When you have discovered their strategies, two important things are to be done as an entrepreneur to stand a great chance to compete or rank above them. The two important things are ; Also try to implement their techniques into your business, but then, you have to rebrand it to make it look unique by adding more of your little ideas. Secondly, uniqueness is the key. Try to think of something entirely unique ( different from theirs). As a business personnel, you must be creative and be able to utilize this creativity. There are thousounds of new ideas undiscovered to your competitors, all you need to do is sit down, think of how best to serve customers and new strategies that could win their heart. Try implement this methods not forgetting to input more efforts and be persistent in it. Competitors in business are the most difficult encounter to deal with when running a business. Even when you have enough capital and working employees, if your competitors have double of that, then you have no chance of outranking them. Remember the market wasn't made for you alone, its all about competition.